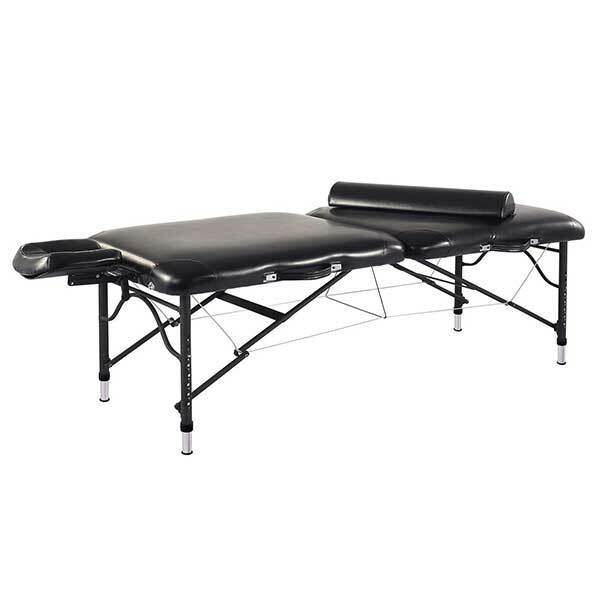 Sierra Comfort prides itself in making high quality, safe and lightweight massage tables. The company strives to serve all types of massage specialists, including therapists, trainers and physicians. 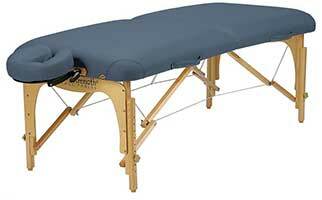 Reiki practitioners aren’t neglected as well, as Sierra Comfort’s tables are also fully compatible with Reiki. 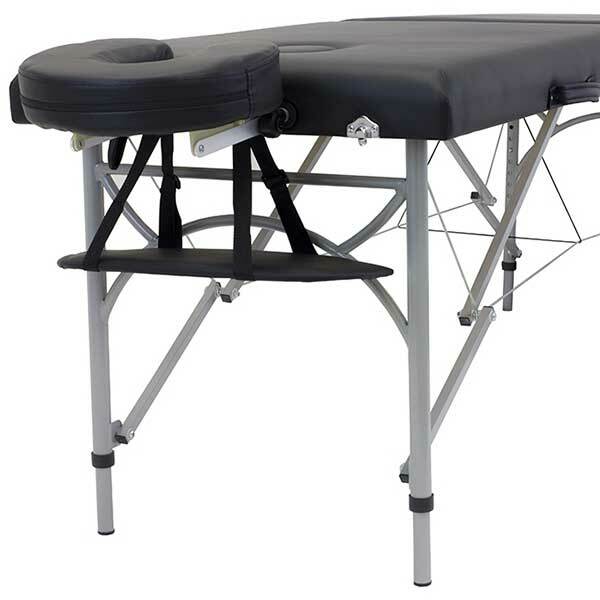 The company also aims to be a one-stop shop for massage tables, massage chairs and accessories. 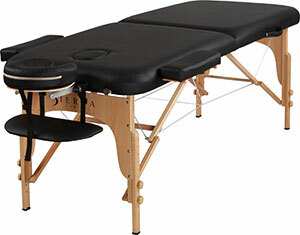 So far, it has been doing good with the Sierra Comfort Sooth Series Portable Massage Table SC-601. 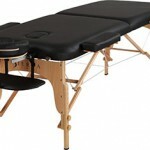 This particular massage table is constructed from maple hardwood. 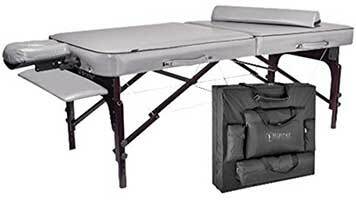 It has a 2.5-inch Luxe high-density foam that’s thicker than its competitors like the BestMassage PU Portable Massage Table. The covering that protects the foam is made of waterproof and oil-resistant PU leather. 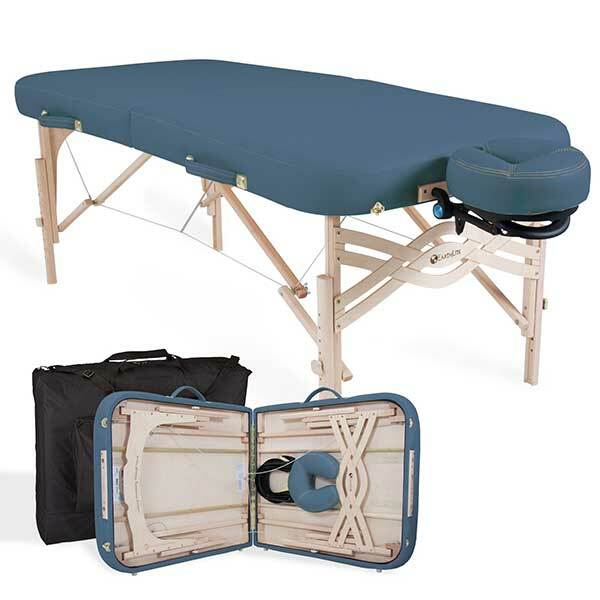 Also included in the package are 2 semi-circle, high density foam bolsters that can serve as additional padding, a carry bag, a forward arm cradle and 2 side armrests. Base table weight: 36 lbs. Shipping weight: 38.8 lbs. Weight with accessories: 39 lbs. 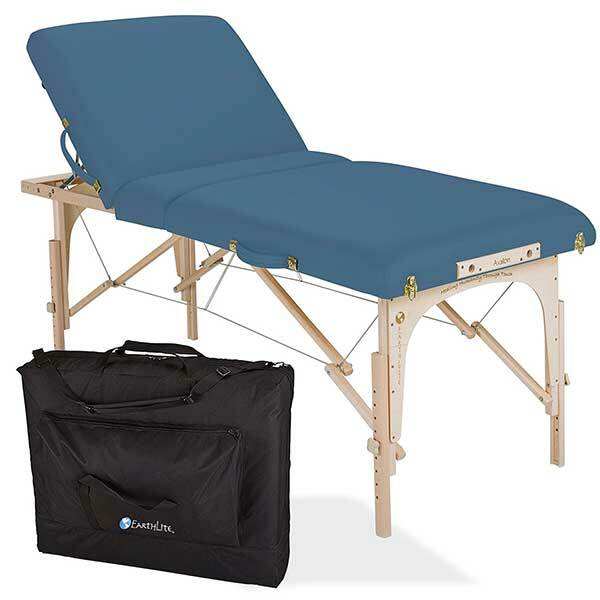 Being a folding table, there’s no denying that the Sierra Comfort Sooth Series Portable Massage Table is easy to set up. There is no assembly required and there are no tools needed. Just unzip the bag and unfold the table. Add to that, many owners have also reported that the table is lightweight. For Reiki use, the extra accessories included in the package aren’t really necessary. However, they’re nice additions that can be kept for later use. There are also some minor issues like the latch not holding securely, the plastic locking knobs used for the legs, stability concerns and a few cases of squeaking. They aren’t as big of a deal but still worth mentioning. All in all, the quality of this table plus the extra accessories included are great for its price. Quite a lot of users seem to buy this table for personal or home use.